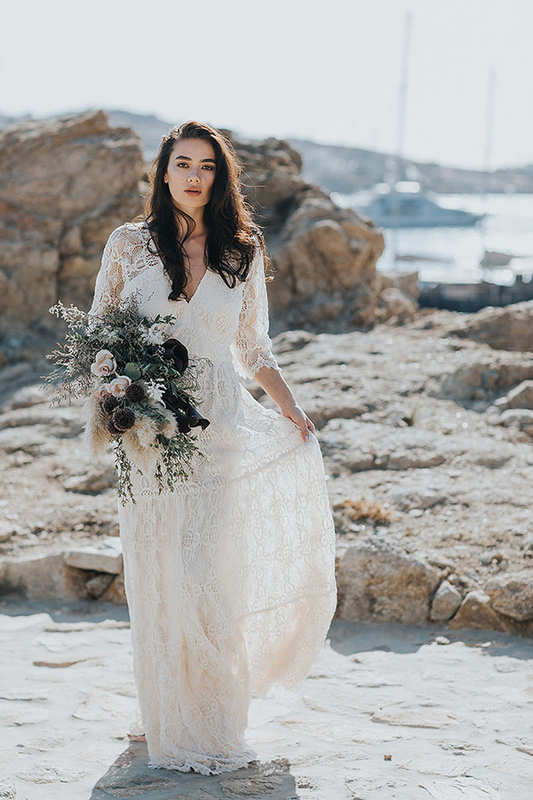 The gorgeous elopement shoot in Mykonos we are sharing today is just dreamy! 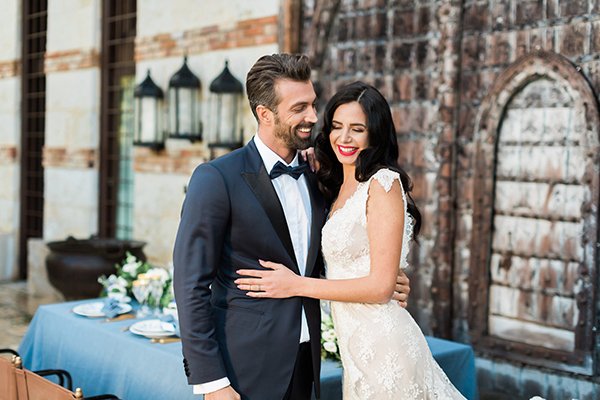 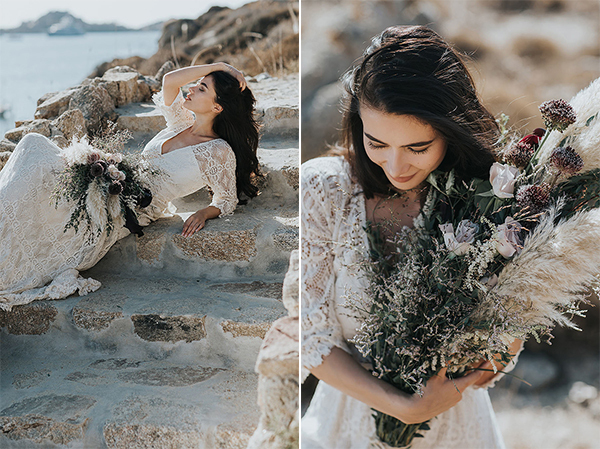 From the bohemian wedding dress with lace details and the rustic bridal bouquet with wild flowers to the idyllic bay where the shoot took place, everything composed a beautiful timeless shoot that will mesmerize you! 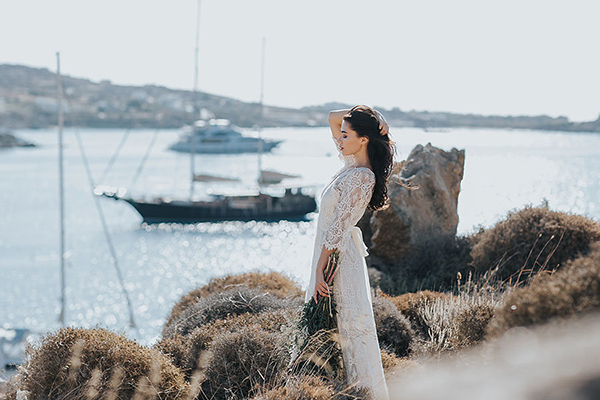 From Anna-Jill Gierhards, Kiss from Fleur: “Nestled in the rugged cliffs of the coast of Mykonos lays an idyllic hidden bay. 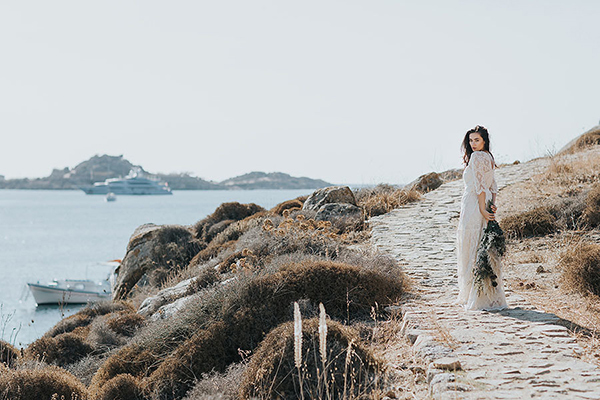 This is where we dreamed of atmospheric romance and timeless elegance as a setting for a picturesque elopement on the beach of Psarou this summer. 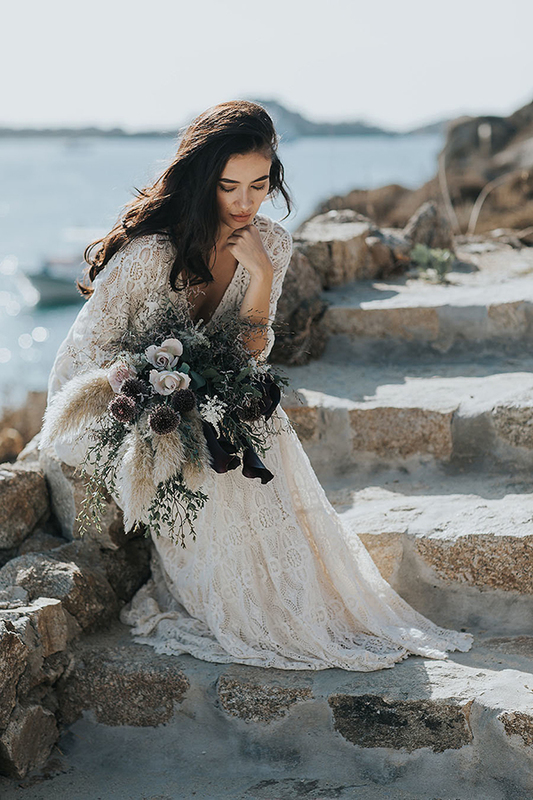 It was the dream of a graceful nymph, who seems to have raised from the sea, to indulge in the liberties of a modern bride. 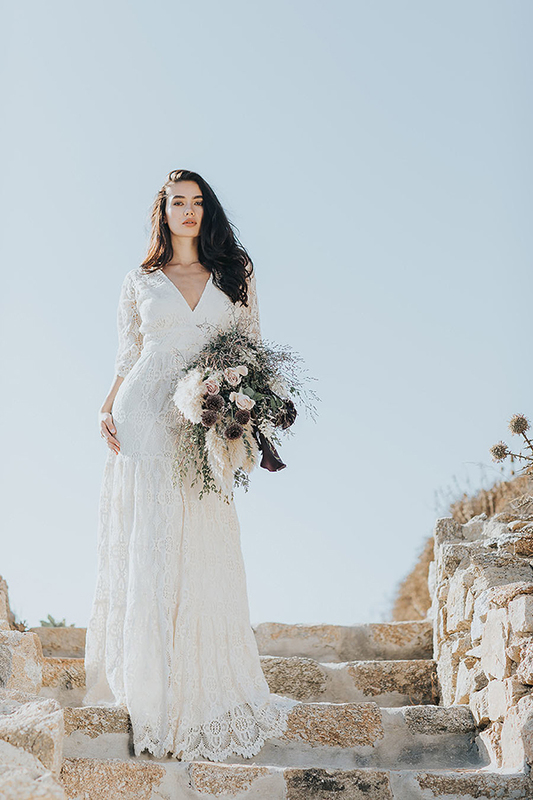 In the warming sunlight her natural beauty becomes immortal, her unique style imperishable. 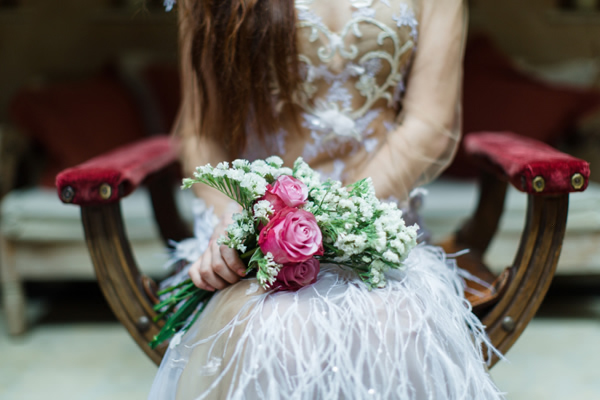 Wildly romantic and fascinatingly untamed, a bridal bouquet reflects her deep hidden spirit that comes to light just before her wedding. 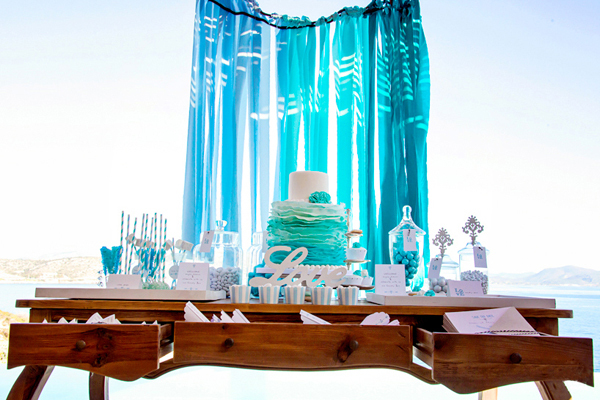 Regardless of customs, expectations and traditions her wishes and ideas are the benchmark for this day. 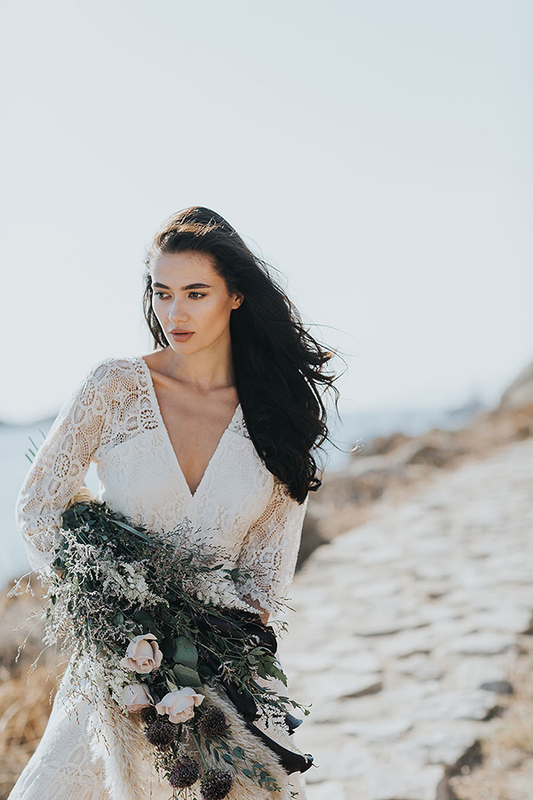 A path of sun-bleached stones leads our bride out of the bay, across the cliffs towards her unknown aim which is waiting for her somewhere between exclusive yachts, gleaming white houses and shady palm trees. 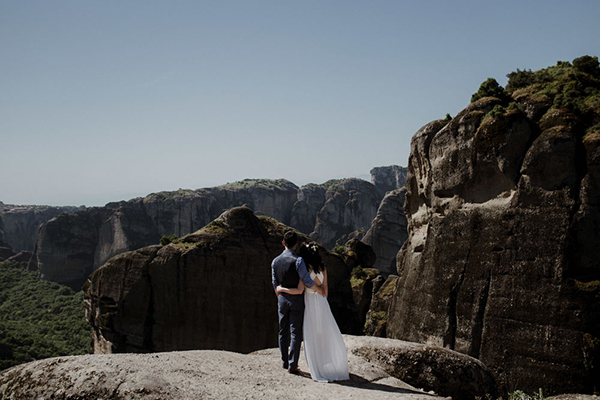 On the trail of a Hellenic goddess she is looking for the most beautiful place of all for her upcoming destination wedding on Mykonos”.